The 1635 m high stratovolcano fo Gamkonora is the highest peak on Halmahera. It has had shifting shifting eruption centers that have produced an elongated series of summit craters along a N-S trending rift. Young-looking lava flows originate near the cones of Gunung Alon and Popolojo, south of Gamkonora. Since its first recorded eruption in the 16th century, Gamkonora has typically produced small-to-moderate explosive eruptions. Its largest historical eruption, in 1673, was accompanied by tsunamis that inundated villages and killed many people. 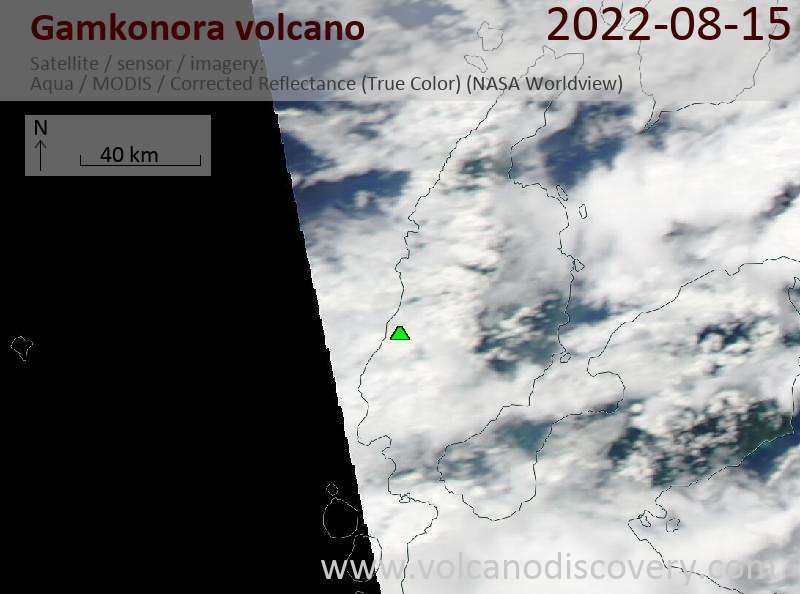 A phreatic eruption occurred at Gamkonora volcano on 8 July 2007, producing an 800 m high ash plume and causing light ash fall in up to 7 km distance downwind in the villages Gamkonora, Tobelos, Sarau, Talaga and Bataka. In the following days incandescent material was observed ejected 50 m above the crater, and ash emissions reached altitudes of 4 km. The eruption promted the evacuation of 8000 residents living near the volcano. On 13 April 1987, ash eruptions occurred at Gamkorona and ash clouds reached a height of 700 m above the crater. Small explosions were noted also on 21, 24, 25, and 26 April, producing minor ashfall in the immediate surroundings of the volcano. There are no reports of damage or evacuations. Gamkonora volcano erupted on 19 July 1981 with explosions producing ash. Ash plumes reached 700 m above the crater and ash fell in up to 5 km distance south of the volcano. Over 3500 people were evacuated from nearby villages. 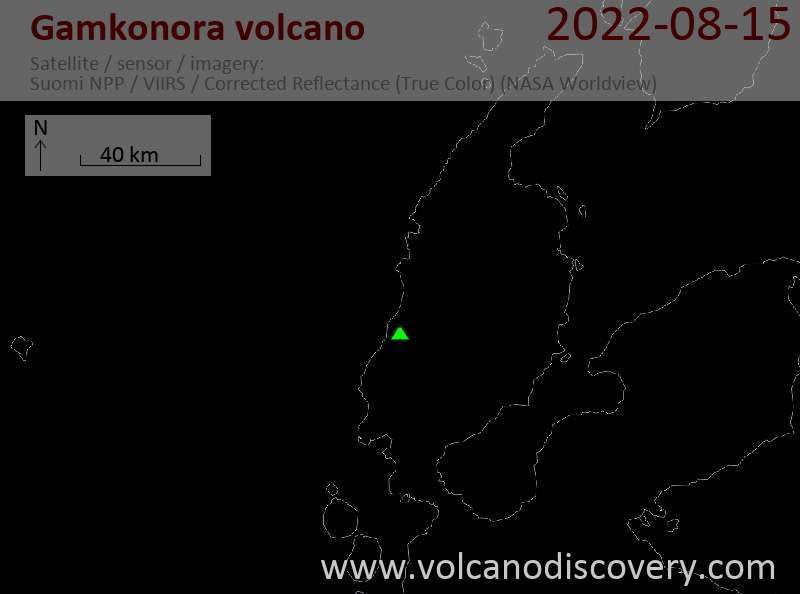 On 22 July, incandescence was observed from the crater and explosions were accompanied by booming noises heard in a village at the NNW foot of the volcano in 5 km distance. After the eruption was declared to be small and not posing immediate threats by Indonesian volcanologists, the evacuated returned to their homes.